The process of synthesizing nanoparticles is mostly trial and error, even though Scientists have been able to synthesize nanoparticles in the lab for decades, and it is still difficult to understand how the formation actually takes place. 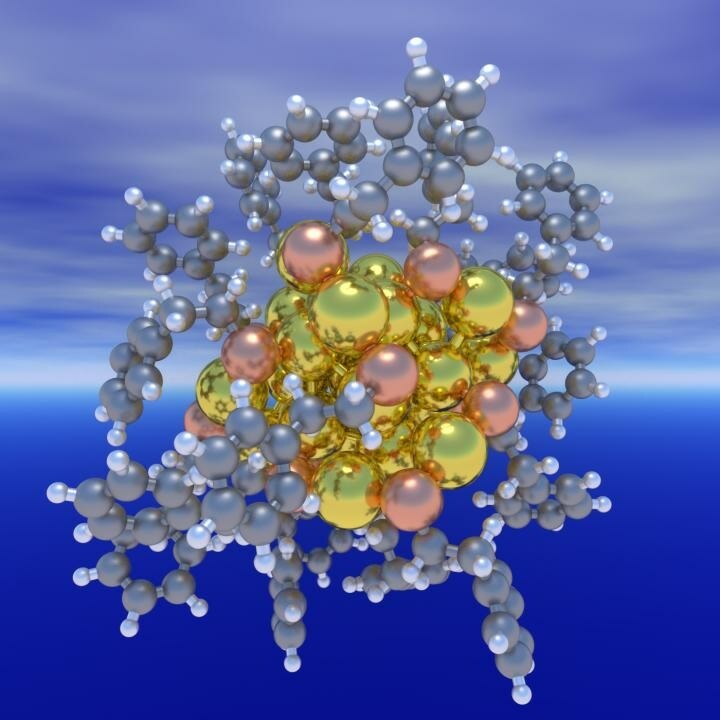 However, an explanation on how metal nanoparticles form has been presented by Chemical Engineers at the University of Pittsburgh’s Swanson School of Engineering through a study published in Nature Communications. Giannis Mpourmpakis, Assistant Professor of Chemical and Petroleum Engineering, and PhD Candidate Michael G. Taylor Co-Authored “Thermodynamic Stability of Ligand-Protected Metal Nanoclusters” (DOI: 10.1038/ncomms15988). The research, completed in Mpourmpakis’ Computer-Aided Nano and Energy Lab (C.A.N.E.LA. ), is funded through a National Science Foundation CAREER award and bridges previous research focused on designing nanoparticles for catalytic applications. Even though there is extensive research into metal nanoparticle synthesis, there really isn’t a rational explanation why a nanoparticle is formed. We wanted to investigate not just the catalytic applications of nanoparticles, but to make a step further and understand nanoparticle stability and formation. This new thermodynamic stability theory explains why ligand-protected metal nanoclusters are stabilized at specific sizes. A ligand refers to a molecule that attaches itself to metal atoms in order to develop metal cores that are stabilized by a shell of ligands, and so understanding how the ligands contribute to nanoparticle stabilization is vital for all processes using nanoparticles. Dr. Mpourmpakis explained that earlier theories explaining why nanoclusters stabilized at particular sizes were based on empirical electron counting rules – the number of electrons that form a closed shell electronic structure, but show restrictions as there have been metal nanoclusters experimentally synthesized that do not essentially follow these rules. The novelty of our contribution is that we revealed that for experimentally synthesizable nanoclusters there has to be a fine balance between the average bond strength of the nanocluster’s metal core, and the binding strength of the ligands to the metal core. We could then relate this to the structural and compositional characteristic of the nanoclusters, like size, number of metal atoms, and number of ligands. Now that we have a more complete understanding of this stability, we can better tailor the nanoparticle morphologies and in turn properties, to applications from biolabeling of individual cells and targeted drug delivery to catalytic reactions, thereby creating more efficient and sustainable production processes.